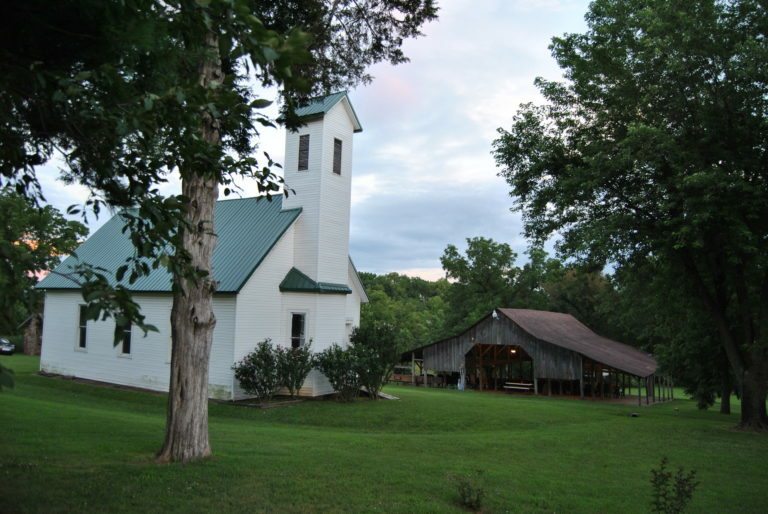 The old church and the tabernacle are fixtures of Camp Cumberland, the holy ground where Missouri Presbytery has held its annual church camps and gatherings since 1892. Spending a few days back in Paducah, I’ve had some time to adequately reflect on my life the past two weeks. I spent two straight weeks at church camps. One with our presbytery at Brandon Springs in the Land Between the Lakes recreation area, and the other with Missouri Presbytery at Camp Cumberland. My first year in youth ministry, I said yes to too much, and since then, I’ve tried to discern how God wants me to spend my time — all the time. Two straight weeks at camp isn’t something I actively sought out, but it was something God called me to. In my new typical fashion, I tried saying no. 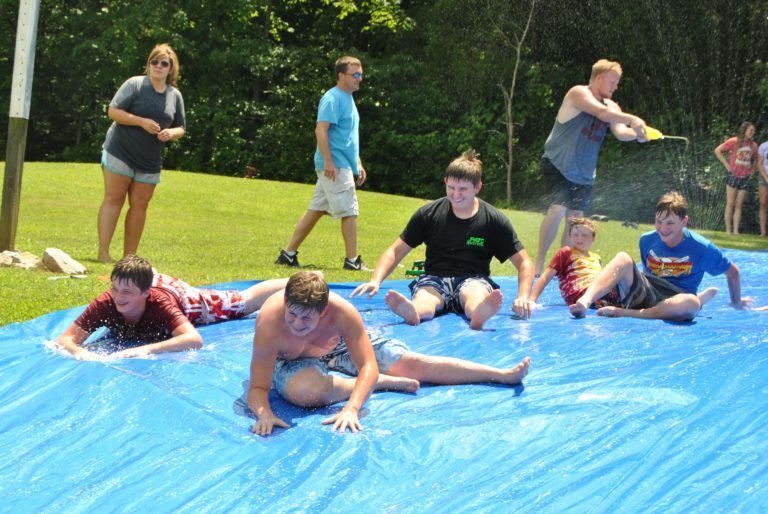 Camp at Brandon Springs has been, in the past, extremely grueling for me as an adult. I’ve been a director the last few years, and have also handled the worship duties. Usually a week there has left me completely exhausted, often sick, and even questioning the work that God calls us to. Being “on the clock” 24/7 at a camp where teens feel comfortable enough to share some intimate, and often disturbing, details about their lives can be overwhelming for anyone. I never sleep well there. But it’s a place where I find God, and I certainly know the youth who attend can find God — and every small ache or pain is worth being in, and putting others in a position to experience God. 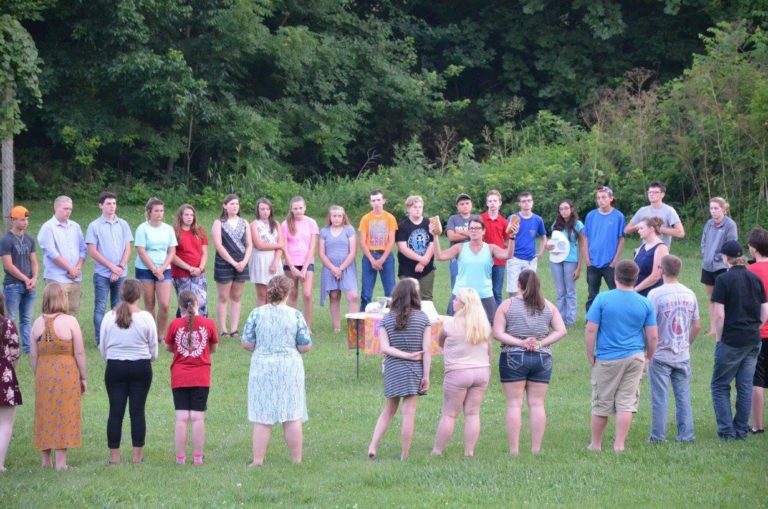 So when my former youth leader, who was co-directing the camp for Missouri Presbytery, called me and asked if I would be the worship leader the week following our presbytery camp, I was extremely hesitant. I truly didn’t think I could do it physically, much less mentally and spiritually. Camp Cumberland is not air-conditioned, and it’s all organized on a giant hill. The gig also called for 6 sermons, and when preaching at Brandon Springs, I would find 5 in a row sometimes a challenge to produce. The huge play for me in the invitation was that Camp Cumberland was MY camp. It’s the place where I grew up going. It had been 15 years since I had worshiped on that familiar Vespers hill. I was completely honored and humbled to even be asked to return as a staffer, and in awe that I was being asked to come back as the speaker. Somewhat reluctantly, I said yes to Camp Cumberland, too, knowing a greater power than I was going to have to give me strength. But God has a funny way of ordering our lives. I wasn’t asked to direct this year at Brandon Springs, and I had already decided not to lead worship there regardless. So my time at church camp with the youth had me in a teaching role for the first time in a long time. And it was so good to be in a small group with a co-leader once again (Todd, you’re awesome! ), having the opportunity to learn from and with a sharp group of sophomores. I’ve never slept better at a camp in my life. The youth were super well-behaved (! ), and we had an awesome week. God even used the week to remind me of the joy that comes with following Christ through the lives of the youth there. Because I wasn’t burdened with the responsibility of preaching or directing, I got out my camera, and was able to chronicle the week through photos. It’s one of my favorite hobbies, and one I received so much blessing from that week. So. Many. Smiles. The week at Brandon Springs made me pay attention to so many beautiful and bright smiles on the faces of our youth. Being able to be more present in the lives of my youth at New Hope was another added blessing. Afterward, I had barely 24 hours at home with my cats to do laundry, nap and get back on the road to Missouri. The trip afforded me the opportunity to spend a few hours with my parents Saturday before traveling to South Greenfield, Mo., on Sunday morning. The second I pulled onto the campground, I could sense God’s presence. It was as if 15 years had never happened, and I was preparing to embark on a week as a camping teen once again. The facility has been open since 1892, and it was as if every person who had ever crossed onto that property greeted me with love. The week flew by in a beautiful way. The forecast had called for rain all through the week, but we only received about two days worth of light rain, and the weather was otherwise gorgeous. Worship was unlike anything I’ve experienced, and I’m so grateful to have been used as God’s vessel. We held communion at the bottom of the hill at Camp Cumberland at the rec field to rid ourselves of the distractions of the world. Bunking on a screened-in porch of a barebones cabin, listening to the frogs and other nightlife, and the occasional giggles of campers staying up too late, I slept….pretty terribly. So mornings were spent sermon-prepping and nap-snagging. Being able to reconnect with my former youth leader, and so many familiar and new faces on staff was so cool. God used each camp to minister to me in different ways. I found joy at the first. And I found love at the second. And both were what I needed at that moment of time. I’m grateful for Covenant Presbytery Senior High Camp for reminding me of the joy that comes with working with youth. I’m grateful for Camp Cumberland for reminding me that God loves us — and never, ever stops. I’m grateful for New Hope for trusting me enough to continue to work with the youth of our congregation. I’m grateful for a job at the McCracken County Public Library for letting me off for two straight weeks, and being continually supportive of my work at the church. I’m grateful for all the friends who kept Baxter and Beatrix alive while I was on the road. I’m grateful for a God who never gives up on me, and keeps directing me back to tender mercies and overwhelming grace. Now, to see what the next adventure holds! I’m so glad God sees fit to give me so many adventures! !